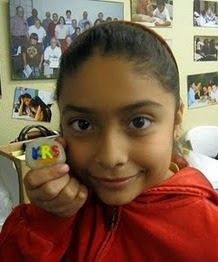 Kids Reading to Succeed: KRS once again featured in Pasadena Outlook! KRS once again featured in Pasadena Outlook! Pasadena Outlook published an article in its October 28, 2010 issue about KRS' Inaugural Fundraiser, which was a huge success thanks to the support of our friends & volunteers! Check out the article on our Media page.